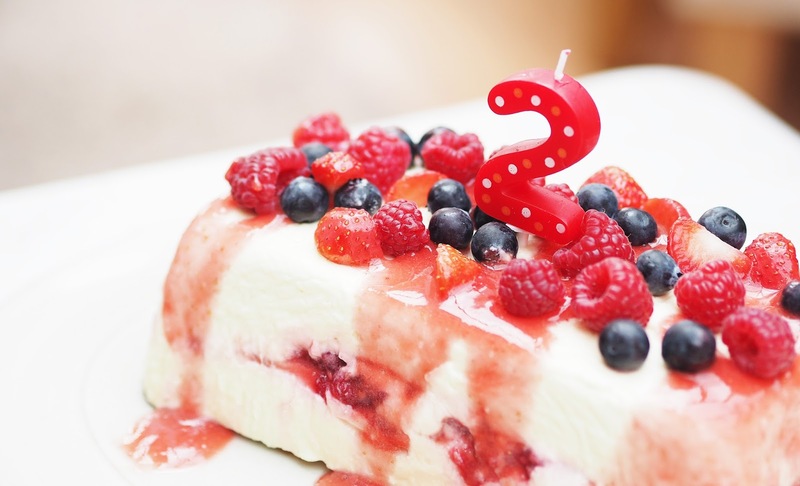 LIFESTYLE | VeryBerryCosmo Turns TWO! 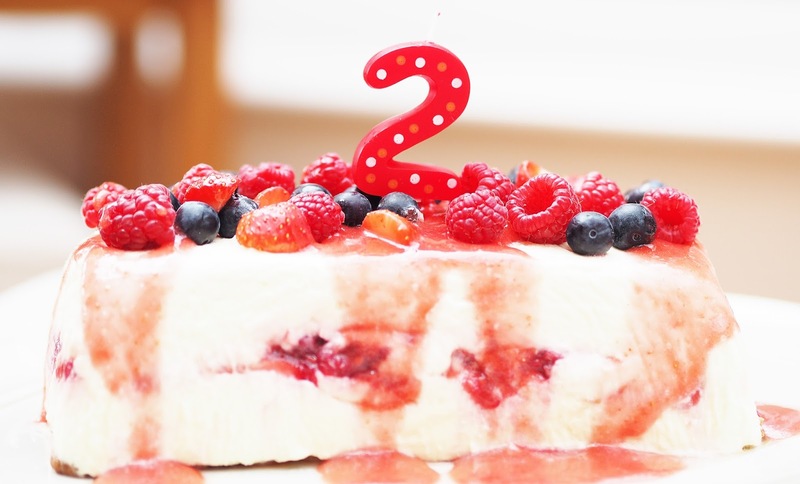 As you can see from the title… TODAY IS VERY BERRY COSMO’S SECOND BIRTHDAY! Please insert all of the birthday and celebratory emojis here please…. OF COURSE I had to make something tasty to mark the occasion, plus I figured it should probably have berries in too… above is the VERY BERRY CHEESECAKE! It is white chocolate flavour, with a lovely jammy raspberry centre, coated in lots of berries and strawberry sauce. Jordan helped me make it last night, and it was super easy and super fun! We used this BBC Good Food Recipe because it had lots of fabulous ratings. We used Lotus Caramelised Biscoff Biscuits instead of the Amaretti Biscuits, this was just personal preference, although in hindsight I wish we went for a chunkier biscuit! IT’S THE BEST BIT! You can’t even see the base in the images but there is one! Promise… even if it is teeny, pretty sure it is the richest, sweetest, really bad for your diet… kind of dessert. THE BEST KIND. For someone who is the clumsiest little bean ever, and not overly brilliant in the kitchen department… I think I did pretty well! Anyway, let’s put the cake down.. just for a minute. Let’s have a chat. I feel I have been a little bit hard on myself lately. I’m so disappointed in the fact that this will only be my 21st blog post of the entire 2016. I always just sit here like GIRLLLL what have you been doing. People tell me I’m doing so well, but to me, it doesn’t feel like I am doing well at all. I feel I don’t deserve the kind words. I feel lazy. I feel irrelevant in the blogging world. I feel unmotivated. Why do people care about what I have to say? But today was different. I went to sit down and write this post and I wasn’t entirely sure what to write about to be honest. 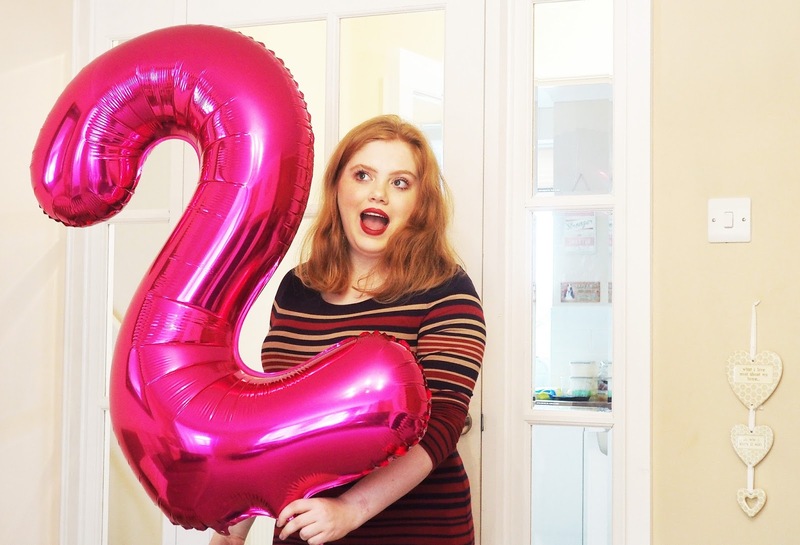 I had a little flick back at Very Berry’s first birthday for a bit of inspo, and I realised HOW much has happened since my last blog birthday. A BLOODY LOT. Since October 2015 I have achieved and conquered so many fabulous things. I’ve had happy times, and I’ve had a few of the saddest moments of my life. Let’s rewind a year or so shall we? This starts off quite sad, but it brightens up, PROMISE. This time last year I was in the first semester of my final year at University. I don’t completely remember how I was this time last year… however I do know that it was not good and I have probably tried my hardest to block it out of my mind entirely. In December I took my first *proper* step towards combatting my OCD. I began taking my anti-depressant medication, fluoxetine, and whilst beginning this made me feel really ill for a good few months as well as many sleepless nights, I haven’t looked back since. It has changed my life. In January, my whole world seemed to crumble. I lost someone in my life that meant the world to me. He was my rock at University and for some reason he decided he could just let me go… I will never understand why. I’d just got back to Uni after several really big deadlines over Christmas. It was time to start my dissertation and final project, and BOOM, he decided to drop that corker on me didn’t he? 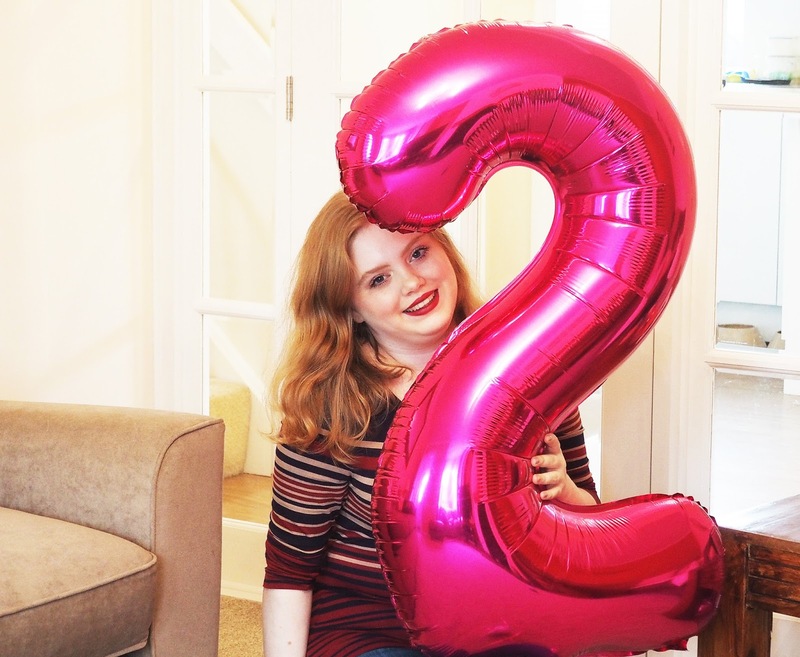 I try to get as many people as I can involved with Penguin because I know what it is like to start from scratch, and I want to make it accessible for all bloggers to work with amazing brands, you have to start somewhere! May was all about finalising off all University deadlines, particularly my Goodbye OCD Stigma project, something that is very close to my heart. I tried to include this on my blogging social media accounts as much as I could because breaking mental health stigmas is a HUGE part of Very berry Cosmo. My OCD story video and book received an overwhelming amount of comments, all very positive! People always tell me how I’ve inspired them to talk more about their mental health journeys, or to even take that big step to the doctors to go and get themselves help. I love this. We WILL get our message out there! In July I graduated from the University of Leeds with a SHINY SHINY 2.1 in Graphic & Communication Design, something that I NEVER thought would ever happen. University was tough, so so so so flipping tough. I shed so many tears over those 4 years, thinking I would never make it until the end. I had so many *I need to drop out right now* moments, but I am a fighter and I didn’t give up. 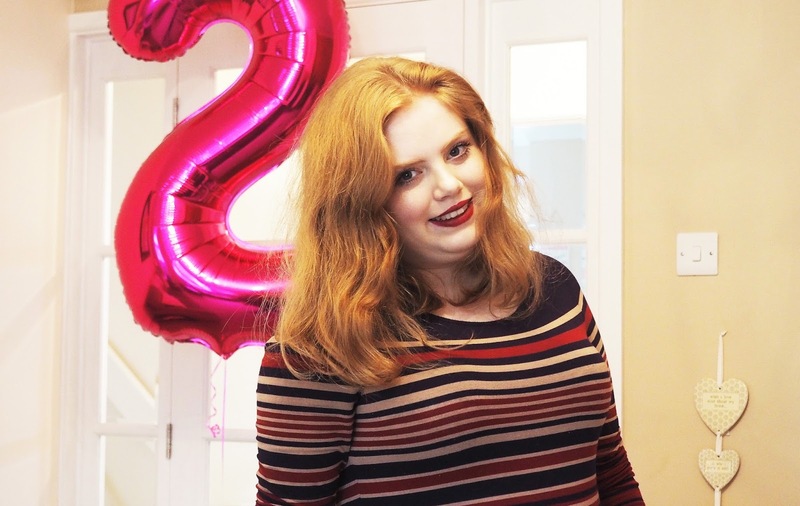 ALOT happened during final year, break ups, a lovely friend passed away, battling against my worrisome mind / nasty compulsions and I tried to carry on blogging alongside it all as much as I could. I guess you could say it’s not surprising that I have blogged so little? I’m all about quality over quantity though, and if I’m not in the right frame of mind to write a blog post, I won’t make myself…. even if it means zero posts for weeks. August was quite a slow moving month. I had been looking forward to graduating SO much, that I kind of forgot what I was going to be doing once I had finished University. Job-hunting, job-hunting, job-hunting, began to be my priority. I also started to brave it and ask for payments for blog posts – BABY STEPS!! I’ve always been too anxious to ask for money, but all they can do is say no, and I work DAMN hard on all of the content I produce. I must say, September was a BOUXtiful month. Yes, that is right, another big brand partnership began – I became a brand ambassador for one of my favourite companies, Boux Avenue! This was one of my biggest blogging achievements to date – for some reason little ol’ me was selected to promote the most BEAUTIFUL pieces of nightwear and lingerie alongside some pretty amazing fashionistas! Whenever I feel low, I think of times like this. I must be doing SOMETHING in the blogging community right. & here we are! This year has sure had its ups and its downs. I’ve met so many wonderful faces this year at various events all around the country. Bloggers Ball, Blogger Tiki Party, Bloggers Blog Awards, The Alchemist, Wren Kitchens, all sorts – the list is endless! I guess what this post is trying to say is…. even on those days where you FEEL rubbish and life seems very still and not an awful lot is going on for you, you just need to take a step back. Have a think of all the GOOD and positive things that have happened, you will probably surprise yourself, it is so easy to forget about all sorts of brilliant achievements and get yourself swept under. I just want to say, thank you so much for all of your amazing, wonderful, kind messages, there is NO WAY I would have continued this life adventure without you all. Your support means the world. I wonder where we will go this year? I’M EXCITED. Hope you are too. I'm so proud of everything you have done. It may not feel like yourve done alot because you don't have the content on one certain aspects of your life. But like at the rest of your life. You have done so well and I love following your journey. You are going to do so much and go so far! And you deserve it more than anyone. Such an eventful year! all turned out for the best by the sounds of it though 🙂 Happy Blogiversary p.s it's mine tomorrow 😀 (26th October) where has this year gone! 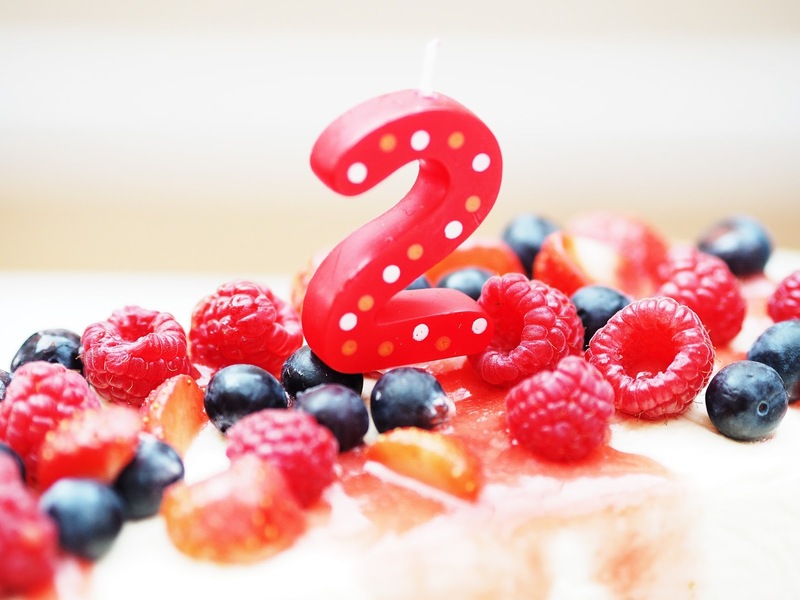 A belated happy 2nd birthday to your blog! Well done to all that you have achieved – especially working with Boux Avenue, how totally cool is that? !